the joy of simplicity– midnight musings. Currently, it’s twenty seven minutes past midnight. Ice is on the ground. Snow fell a little under twenty four hours ago. I can’t see the green grass. They’re covered with a thin blanket of white. My first day of spring semester classes is behind me. I survived the first of many long days. Sometimes, you have to be thankful for the small joys. Like your car not skidding on black ice. Or the fact that the Starbucks line was short today and I got my coffee in a matter of minutes. In every day, there is always good. Although not every day will be good, it’s your attitude that makes the difference. It’s the little moments that pass you by, the little moments that secretly disappear when you’re not looking, that make up the days. Will your day be good? Or will your day be bad? Choose joy and keep choosing it. We simply have to choose joy and keep choosing it. It’s about that time in January where I begin to long for spring. I am not the kind of girl who enjoys the freezing cold weather with negative wind chills and lots of snow on the ground. Not that this is actually happening right now… it is Delaware after all. We are known for our crazy and bipolar weather. The other day it was 60 degrees, yesterday it was in the 40s…last week, we had snow. What is this. 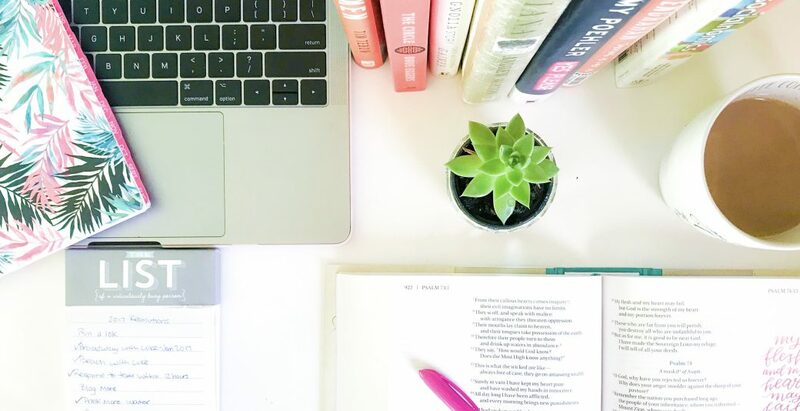 Anyways, because my mind longs for warmer temperatures and sunny days and happy birds chirping from tree branches, I’ve begun to escape to the land of Pinterest for some spring inspiration. These 5 are my favorites and I thought I’d share them with you! I have to admit, one of the reasons why I pinned this is because there is a Starbucks cup in the picture. No shame. I’m a helpless Starbucks addict with no hope in ever quitting. 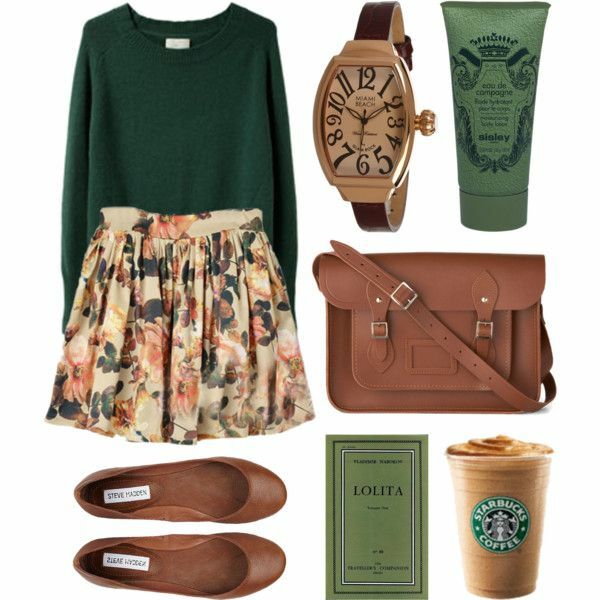 However, besides the coffee cup, I love this outfit because of the soft green and floral combination. It’s not too frilly and not too girly, but has a hint of laid-back, let’s study in the library and go on a picnic on Saturday kind of feel. I dig it, especially with the neutral bag, shoes, and watch. To purchase items from this outfit, click here. I guess I should probably admit this now, because you’ll find out eventually. I have a slight obsession with trench coats. My mom bought me a grey one a few years ago and it is, by far, my favorite coat ever. I love this tan one with the classic polka dot shirt and forest green accent sweater. To me, this screams “Weekend Outfit in the City” and I don’t really know why. What I do know, however, is that those mustard yellow flats are to die for. Yellow has become sort of like a neutral, because it can go with everything. You can wear them in every season and make each outfit look new and refreshed. 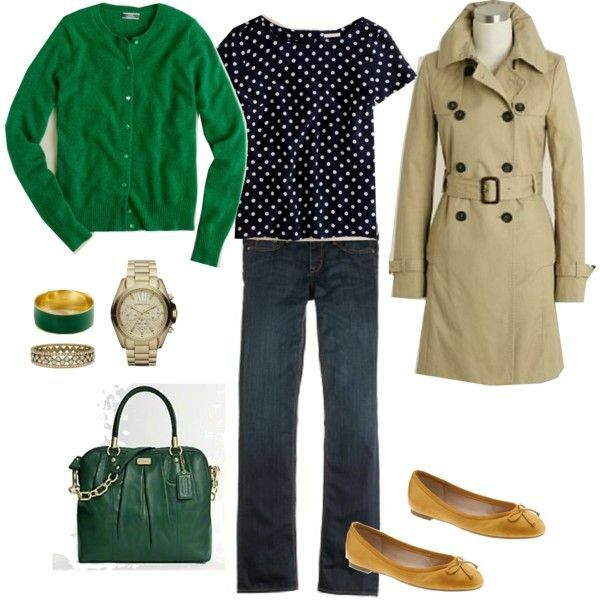 Paired with jeans, a trench, polka dots, and green? Perfect. 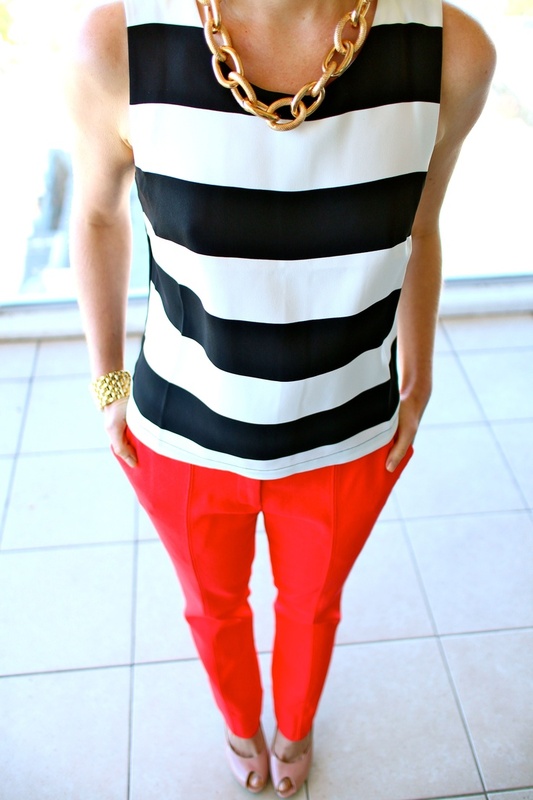 Nautical stripes, red pants, and a gold chain. Simple, elegant, a hint of the sea. Need I say more? To pin this to your own Pinterest board, click here. I couldn’t havae a fashion blog post without posting at least one dress. Coral and sky blue is my favorite combination, especially for spring. For practicality reasons, I like this outfit because the dress can be worn with heels or flats. It can be made new with different accessories like studs or pearls and worn with a denim jacket and a different bag. It’s elegant, classic, girly, and screams spring. These five outfits make me so excited for spring. Although there are still several months left of winter, at least I know that spring is coming. Until then, I’ll keep pinning beautiful outfits! To follow my Pinterest closet, click here.